Family or Business, Central, clean and comfortable. Your own private space with all the comforts and more. Modern, very clean with all the comforts for professionals or families alike. Unlimited fast internet for video conferencing or watching movies when relaxing with families. Cook at home in the fully equipped modern kitchen or just walk to an Italian cafe. Close drive to Manuka and Kingstone award-winning restaurants. One of our guests called it a small boutique hotel yet with a warm cozy feel of your own home. Excellent central location close to all the major attraction. You don't even need to take your car out to visit Mint. Our guests just walk to the Mint. Centrally located next to Embassies and Parliamentary triangle. Close to National galleries and award-winning Questacon. Unlimited and fast VDSL (fast speed internet) great for movies or video conferencing. Sleeps eight in proper beds with two very spacious extra large bedrooms with windows. BBQ- Throw a family barbie onWeber Bbq in the backyard. There are two bathrooms (shower only) with running hot water. Extra large washing machine and Dryer. Well lighted with beautiful leafy green trees outdoors and amazing bird life. Very peaceful and secure neighborhood located very close to the embassies. I invite you to read the reviews left by real people who have stayed at our guest house. Friendly and outgoing. Love to travel, read and spend time with family and friends. Spacious for families and professional working people alike. Very close to all the major attractions. It is under 5 minutes drive from Parliamentary Triangle and Barton. It is like having a Presidential suite at the hotel. You have the lounge and dining areas with large screen tv's for the kids to watch tv or play games. Spacious bedrooms and fully equipped kitchen give you the options to eat in or out. There is also backyard where you can relax and have family bbq. Two main bathrooms with showers only. There is no landline facilities on the premises. Please make sure you have your mobile phone handy for calls. Heating and Cooling for those freezing and boiling hot afternoons for your comfort. Space for two cars under the carport and space for larger vehicles outside on the private driveway. VDSL- High speed unlimited - Great for video conferencing or just watching movies on Netflix. Very comfortable, trendy with flat screen large sony tv. Large family fridge with freezer. Italian rangehood and attached oven. This machine takes whole coffee beans. Guests can bring their own coffee beans. Want to spoil yourself there is great Italiana cafe two minutes walking distance. Paper towel , Tea , Coffee, Milk. Fully furnished kitchen with all the modern appliances eg. Dishwasher, 5 burner Gas cooktop with oven. I have smart apps so please bring your netflix password and as it is high speed internet no problem streaming movies on tv. DVD player and movie library. Bring along your Netflix login details as the app is available to watch your shows on the television. nice outdoor area with weber bbq. There is golf course under 2km. There are some great gyms just walking distance or two minutes drive from the house. Paid Gyms available within walking distance. If you like to be fit there are many walking and running tracks and parks etc to go for a jog. This is a great home, very clean with all the amenities we needed. Ravinder is so kind and was wonderful to work with. We would recommend it for sure! Great location for our event, highly professional communication and accommodating when I have to amend dates. Highly recommend. Lovely home, great living areas and bedrooms. Toiletries provided and lots of utensils in the kitchen so it's easy to cook food. In a lovely spot for walks and coffee and very close drive to the CBD. Ravinder has been an amazing host and would recommend staying here for sure ! We had a great weekend staying at this house in Canberra. The house is centrally locates, very comfortable, and has a well equipped kitchen. It was very clean and has been tastefully decorated. We would definitely recommend this house. 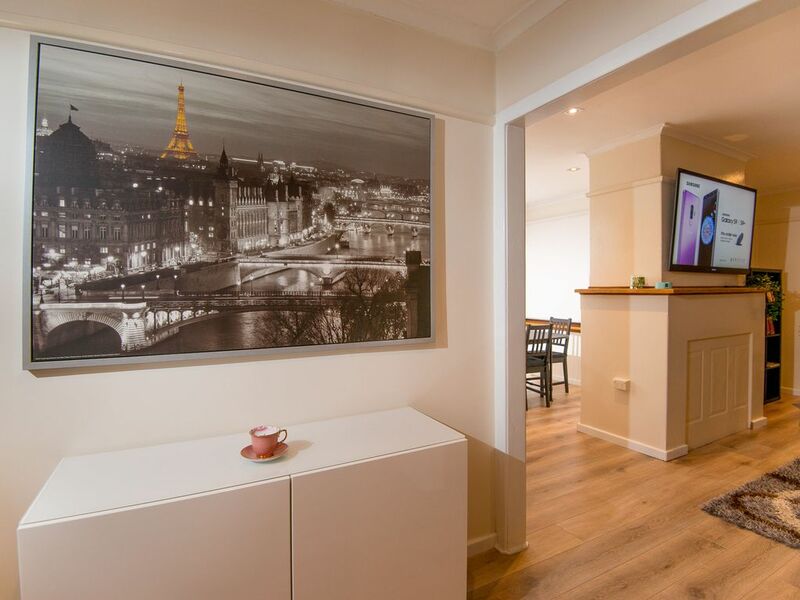 Our guest house is so central and is a short distance to the majority of attractions in Canberra. Only 1.6k from the golf course and 5 minutes drive to the Parliamentary Triangle and located very close to all the embassies and a short drive to City center. Very close to Arboretum and National Zoo and Aquarium. Southern Cross yacht club is only short drive located right next to Lake Burley Griffin offer great meals and atmosphere. Our guest house is your home away from home with a warm and friendly feel with your comfort utmost at our heart.